Among Ami Radunskaya’s areas of expertise are mathematical modeling of tumor growth and treatment, dynamical systems and analysis of non-linear models of power systems. She is co-director of EDGE (Enhancing Diversity in Graduate Education) as well as the President of the EDGE Foundation. EDGE is a national program designed to increase the number of women students, particularly minority women, successfully completing graduate programs in the mathematical sciences. 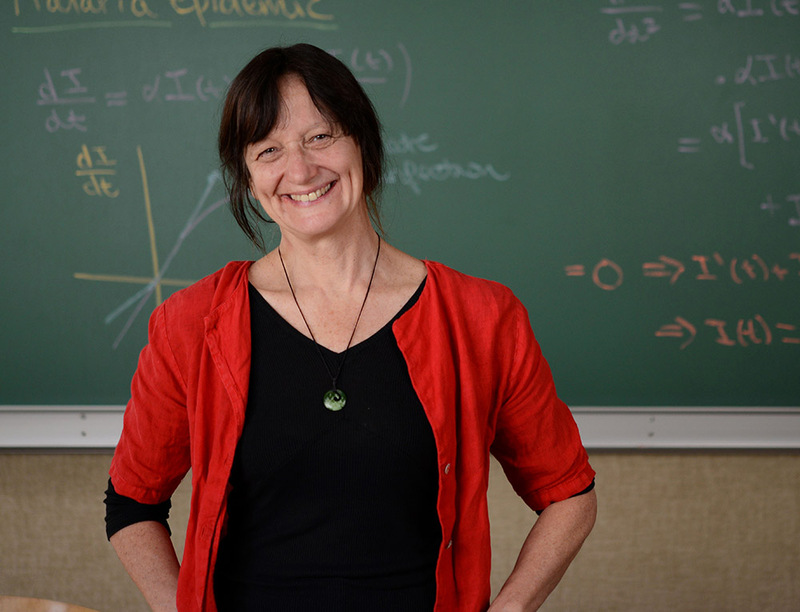 As President of the Association for Women in Mathematics (AWM), one of her goals is to build community between all types of mathematicians by supporting a unified network of members, and by paying attention to the needs of all members. Aspiring mathematicians don’t all have equal access to research opportunities, graduate school, internships, post-docs, jobs and recognition. As AWM President, she works within the association and with other groups to facilitate access to opportunities in mathematics. She hopes that the organization can use its collective strength to build and support a diverse mathematical community. In 2014, she was featured in the independent film, The Empowerment Project: Ordinary Women Doing Extraordinary Things, a documentary that spotlighted positive and powerful women who are excelling in traditionally male-dominated fields as role models for young women beginning their careers.